Meet Sixpence! 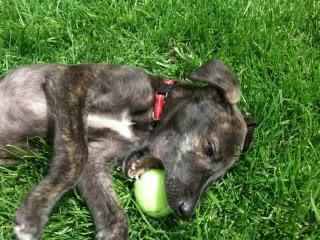 A stunning 8 week old Whippet cross. Sixpence has been handed into us as a home took her in to prevent her being bred from and then passed her onto us. As you can see she is a stunning but tiny little girl currently standing at 13" tall and 12" long. 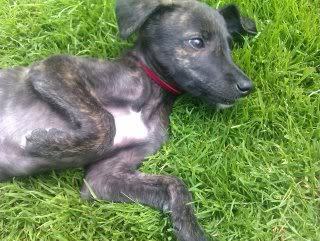 Sixpence is a typical whippet pup who is still getting used to her long Bambi legs! 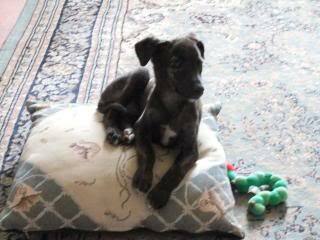 Her foster mum says she is quite cat-like as she loves to climb and curl-up in a ball on your lap! Sixpence needs an active home that is prepared to commit to her for her whole life and give her the training, exercise and love that she needs. She is very intelligent and responds quickly to the sound of food or other noise. 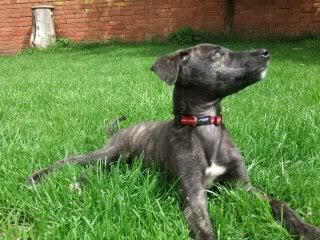 Sixpence would love to go to a home where she can take part in an activity such as flyball or agility but would be equally happy if she were to live a very active lifestyle. 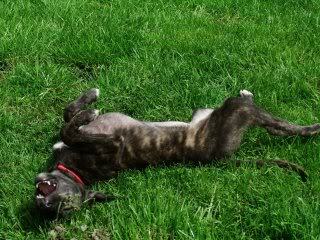 Sixpence is currently sharing her foster home with five other dogs and a cat. She is fantastic with the dogs and enjoys playing but is also respectful of them and knows when to leave them alone. The cat isn't too impressed with her but Sixpence could live with confident cat providing further training is put in place. Sixpence would be happy to live with children over 5. 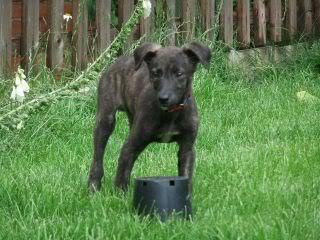 She will be fully vaccinated and micro chipped before she is re homed. 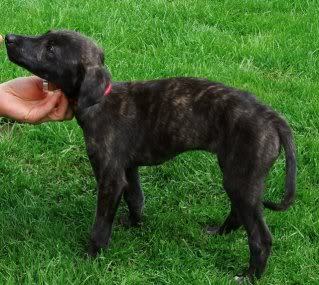 Sixpence must be spayed when she is old enough (6 months old) at her new owners expense - we will provide a voucher at the time or adoption for a £40 adoption fee refund when she is spayed. 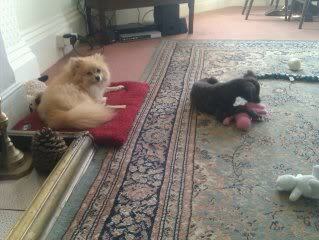 Sixpence is on foster in South Devon but we home across the UK.